For landlords there are a number of regulations that you need to meet to ensure that your property is safe for tenants. This includes making sure that adequate fire protection is provided and that any equipment is correctly maintained. The rules apply to all properties, but are particularly prominent for those who manage houses of multiple occupancy (HMO). Failing to keep track of these regulations could result in hefty fines. If you’re the landlord of an HMO, you need to ensure that you have provided the correct fire precautions in your property and that they are serviced and maintained in line with the manufacturer’s recommendations and government regulations. Landlords who don’t meet their commitments are leaving themselves open to fines, as well as the possibility that someone could die in one of their properties. 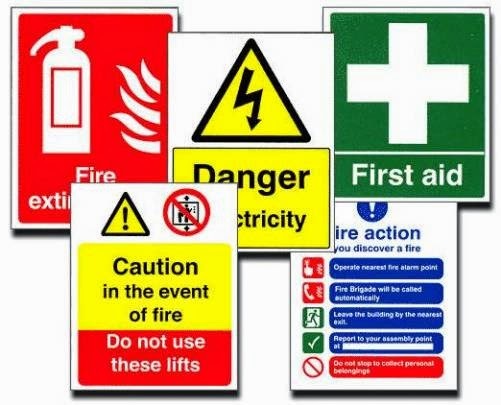 There is a requirement to install warning devices, including smoke detectors and alarms, at strategic points in the building, such as in escape areas and kitchens. Landlords of HMOs must provide the right type of equipment for tackling fires and preventing them from spreading, including fire blankets and extinguishers. There must be a minimum of one extinguisher on each floor, which is of the correct form, as well as a fire blanket in every kitchen that is shared by tenants. The escape route in a HMO needs to allow enough time for everyone in the building to leave safely. This could be achieved by fitting an external fire escape or by using fire resistant corridors and stairs. These escape routes need to be accessed through automatic fire doors. Within an open plan space it can be hard to achieve the level of fire resistance that is required. Often these types of buildings will centre on an open plan staircase, which cannot be sectioned off without detrimentally affecting the layout of the property. In these instances it might be more appropriate to fit a fire suppression system, such as the Automist systems available from Mainpoint. These can be installed with the minimum of disruption and work in a similar way to sprinkler systems if they are activated by a fire. With a growing number of younger people looking to rent, furnished properties are increasingly becoming attractive. According to recent research, 48% of those households made up of 25 to 34 year olds are living in private rented accommodation. If as a landlord you are providing upholstered furniture within your property, you need to ensure it is fire resistant. All items that meet these criteria will have a symbol on the label to indicate so. Items that are classed as upholstered include armchairs and sofas, beds, mattresses and headboards, futons and sofa beds, childrens furniture, cushions and garden furniture if it is used inside. When you’re the landlord of any type of rented property you have a duty of care to your tenants, as well as having a legal obligation to provide a save and secure home.